A lot of businesses have noticed their Facebook post engagements have dropped…dramatically! Why is this? Facebook has admitted they have throttled back organic reach. Their premise for the algorithm change is to provide a better News Feed experience. In reality, its designed to squeeze more money from business pages to not just reach new followers but also to reach your OWN followers. In 2018, on average, just 2% of your page followers will see your post. This is horrific when you consider the time and energy you have spent building your page up to 10,000 or 30,000 followers. Most businesses assume if they have 20,000 followers and they post some valuable content on their page they are reaching “their” audience. Not true. You will be lucky to reach 400 of your 20,000. Unless you boost your post, which is exactly what Facebook is trying to get you to do! Let’s take a closer look at this though for there are a lot of you that have paid money doing “like” campaigns to build your audience. It does not matter. The smartest way to look at your page followers is they are Facebook followers and if you want to engage your followers you need to pay Facebook to do so. I’ve seen companies work hard post 40 to 50 posts a week and spend $3,000 t0 $5,000 building followers up to 60,000 just to realize the only way they are actually going to REACH their followers is to pay Facebook to do so. What’s wrong with Boosting a post? The answer to that is first: WHY do you want to Boost it. Before paying to Boost a post you need to ask yourself what do you want from this post? If it is simply to get this specific post with the information in it in front of YOUR followers, then Boosting a post is the most straight forward and cost-effective means to achieve that. But remember, there are limited options when Boosting a post. If you are trying to drive conversions or leads, just Boosting a post is not going to give you as high of a Return on Investment as you would get if you use an Ad Account and specifically target that objective and target your followers. The reason is Facebook Boosted posts are designed for engagement: Likes, Shares and Comments, they are not designed for conversions (an ACTION). Again, if you are simply wanting to put your post in front of your followers with no desired action or conversion expectation, then a Boost will work for you and at a lower cost. But if you are trying to generate business or grow your brand, the last thing you want to do is limit your reach and objective options to simply a Boost. Facebook ads are an amazing platform for many businesses that know how to use them correctly to market their products or services to their target audience – dentists, dog trainers, realtors, insurance agents, massage therapists, restaurants, plumbers, roofers, and many more industries do amazingly well using Facebook to increase their sales. The key is like any advertising, it must be targeted to the right audience, carry the right message, have a good call to action and be engaging. If it doesn’t have all of these features, your ads will never perform as well as they should. If you click on “Boost Post,” you are most likely wasting your money. If you do it often, you might be throwing thousands of dollars away a year. Facebook optimizes your campaigns depending on which objective you choose. If you go with Website Clicks objective, Facebook will optimize for link clicks to your website. If it’s Website Conversions – Facebook will analyze everyone who converted already and will try to reach similar people first. But if you Boost a post, Facebook will always, always optimize just for more post engagement – more likes, shares, comments and so on. If you decide to Boost a post, Facebook will optimize for engagement and not link clicks. Often you’ll see Boosts receive a ton of post likes (especially with broad targeting), but just a fraction of those people will click through to your website. Now, if your objective was not to convert them to take an action, then that would be OK. But if you were wanting to increase, appointments, leads, website visitors or another result, you are going to be sorely disappointed. Boosts may be Cheap but they are Not Inexpensive. Remember the old saying: You get what you pay for. People you choose through targeting in an Ads Manager Account – advertising to a specific target audience you choose. If you didn’t do a good job with attracting high-quality page likes, very few businesses do, you will be immediately wasting a fraction of your money. Your reaching people that do not really have must interest in your services and will never buy no matter how many times you put your message in front of them. Even if you have super relevant followers, you’ll still be wasting your money – the Friends of Followers audiences’ can have up to a million people in it. There’s absolutely no way Facebook will be able to find the most relevant people within it. And it’s impossible for you to target specific interests and demographics to make it more specific. Although you can choose some interests, the targeting choices are still very limited. For example, you can’t choose any behaviors. You can’t use Detailed Targeting to reach people who are interested in both “A” and “B.” Plus, you can’t exclude audiences from your targeting. Excluding some audiences is sometimes just as important as Including the RIGHT ones. If these reasons aren’t enough, remember; you can’t control the placements of the ads you pay for. Facebook does a lot of optimization automatically for you. Most of the time their algorithms will try to find the cheapest way to achieve an objective, even if it might destroy your overall campaign results. For example, if you selected multiple counties for your target audience, Facebook might eventually push most of the budget to the cheapest counties that are getting the cheapest clicks. The same happens with gender, age and, yes – placement. Basically Facebook is just trying to reach the most amount of people for the cheapest amount, they are not looking for the right fit for your company they are just looking for warm bodies. Stop Boosting Posts! Unless your very specific about WHY you are Boosting THAT post. Even in that, you should only Boost a post to YOUR Followers because this post is specifically just for them. But do not expect many conversions. Look at a Boost Post as a “public service” announcement to your followers. Every post you make should have a goal. In the end, your goal should not be to just get more engagement, but to get people take an action – visit your website, sign up, register or buy your product or service. The biggest technical difference between the Boost Post button and manually promoting a post through Ads Manager is the number of targeting and bidding options. With Boosted Posts, your targeting criteria is limited and all of the settings are rolled up into one campaign. When you create precise targets for your ad, you can determine which audience is performing (engaging/clicking/converting) best for your business or your offer. That’s the point, isn’t it? Getting a result for your marketing dollars. Another drawback of Boosted Posts; your ad reaches one audience at a time and only one time. There is no retargeting for the Boost is considered “successful” when the person saw and liked it. End of story. No conversions/actions that generate revenue are tracked or pursued. Learning something new about your audience with the Facebook Boost Post method becomes a challenge. To efficiently control your budget while maximizing learning, break out those targeting options! 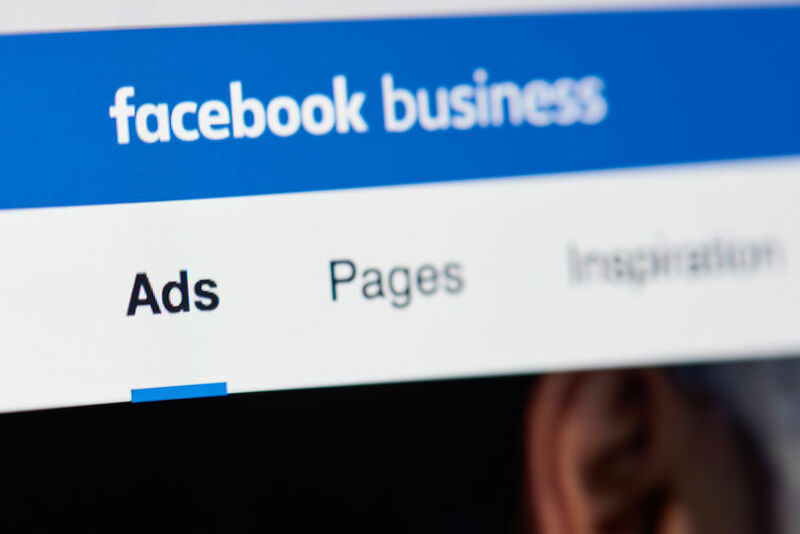 With Ads Manager, you can create multiple ads from one published Facebook post by breaking out different targeting parameters and split testing them. Then, you can easily pause the ads that don’t perform after the ad has optimized (give it at least 2-3 days, or after 2,000 people reached). Only Boost Facebook posts that help you achieve a very specific goal. Otherwise, take the additional steps of running an Ad Campaign. Facebook ads have a steep learning curve. It can take time and practice to get the hang of them, and this can be overwhelming to some business owners. If overseeing your Facebook ads aren’t producing at least a 5 to 1 return, hire a digital marketing company to create and manage your ads for you. Your revenues generated by this should more than pay their management fees, if not, find another company that does. Previous Struggling with Facebook Ads?